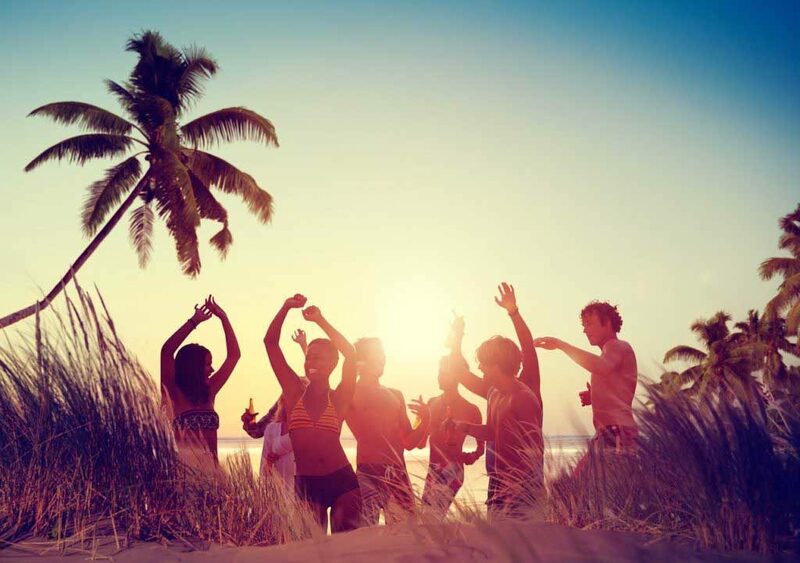 Ok, let’s get one thing straight: Fiji ain’t no Ibiza! But it wouldn’t be fair to say Fiji has no nightlife whatsoever! You just need to know where to look. 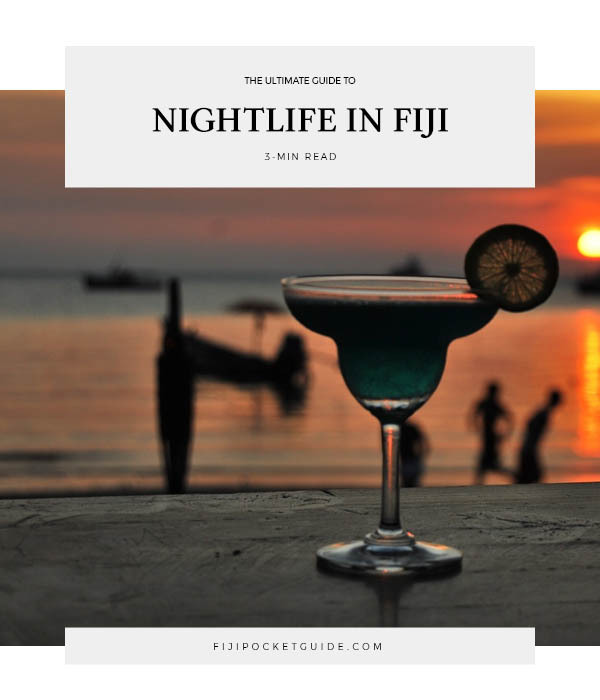 With this guide to Fiji nightlife, you’ll find all the best destinations for partying, sipping on cocktails and dancing the night away. Fiji has a few nightlife hotspots that are worth checking out, especially if you want to meet locals or like-minded travellers. Otherwise, you’ll find that most of Fiji’s bars are a relaxing environment to hang out with friends and taste some delicious fruity cocktails or refreshing Fiji beer. While you’re looking for great places to drink, you might also want to find the 10 Best Foodie Experiences in Fiji. Or by day, why not try some of the 10 Best Adventure Activities in Fiji? If you want to party, make sure you head to city nightclubs, rather than staying at the bar in the resorts (with the exception of island resorts with epic “party nights”. Find out more below). 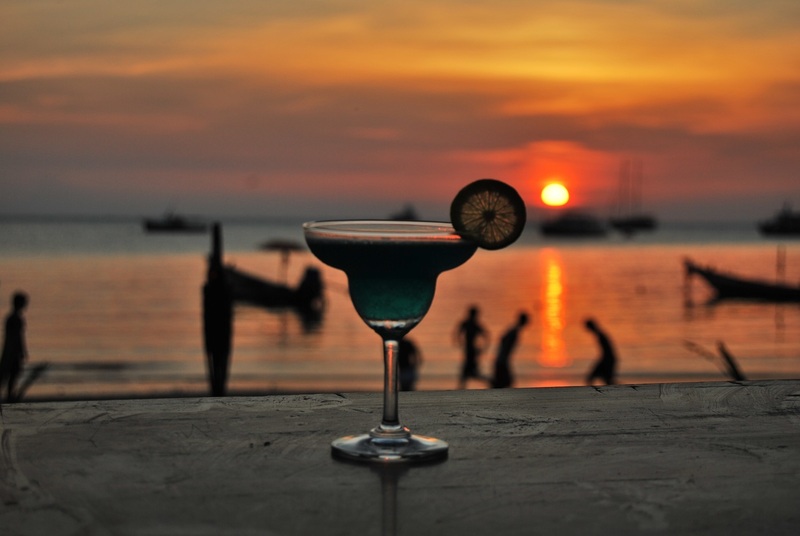 Happy hours in resorts tend to be between 5.30-6.30pm. Happy hours in bars outside of resorts are pretty much all night long, so there’s no need to rush. City nightlife scenes shun flip-flops. Make sure you pack some classier footwear and clothing for partying in the cities. If you’re staying in an area with many resorts, it’s perfectly acceptable to check out the bars in the nearby resorts too! Suva is the party capital of Fiji. Unsurprisingly, the capital city is where you can find the most bars in the Fiji islands. Head to Mcarthur Street and Victoria Parade for your largest selection of clubs and bars all in one place. Let’s start with Down Under Pub (54 Carnarvon Street) has a wicked atmosphere with both locals and travellers hanging out, playing pool and dancing into the night. O’Reilly’s (McArthur Street) is a fun-loving bar which is extremely popular with the locals. That might be because of the large screens for watching the latest rugby games. Next door is the Bad Dog Cafe, catering to local expats, professionals and tourists with their fantastic cocktail bar. On the same street is Purple Haze is a characterful bar with a sci-fi theme and gay-friendly. One of the most popular bars in Suva, and the whole of Fiji for that matter, is Traps Bars (Victoria Parade). Thanks to its five different bars in one, there’s always something going on, from dancing to the sounds of local DJs to even poetry readings. Live music is on Tuesdays and Thursdays and happy hour is 5pm to 8pm. 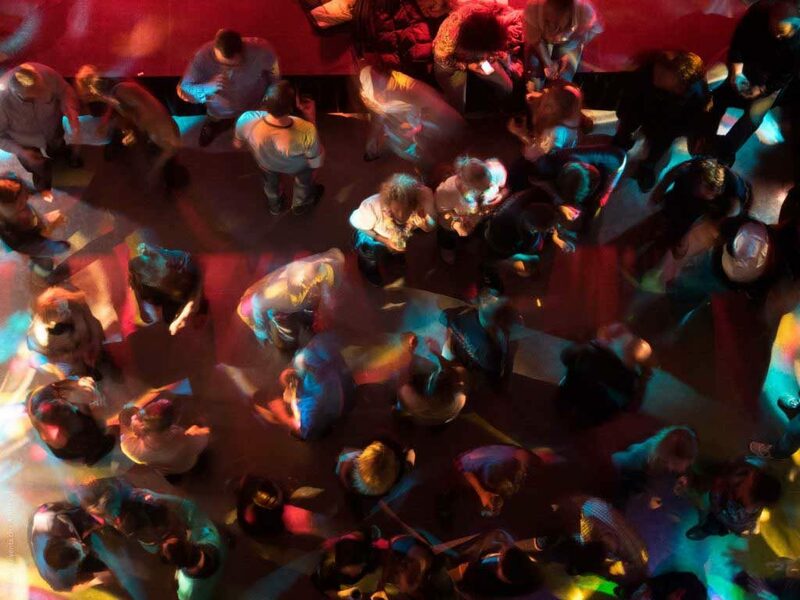 Also down Victoria Parade, check out Signals Nightclub where you can dance the night away with the locals. While you’re in the area, why not try some of the Best Eats in Suva or Cheap Eats in Suva? Although the nightlife in Nadi is a little quieter than in Suva, there are still some great joints to hang out in. 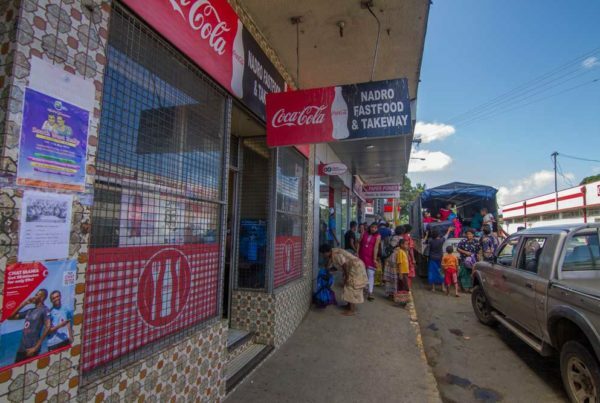 On the Martintar side of Nadi, the bars and restaurants in the area are popular with both local workers in Nadi and travellers. Check out Ed’s Bar (Queens Road) known for its rustic and relaxed feel in the early hours of the evening turning into a great party place later into the night. The bar has a five-hour-long happy hour, two bars, pool tables, a beer garden and a late night cafe. Across the road from Ed’s is Bounty Bar & Restaurant which is a great place to start off in with live music on weekend nights, then end your night in the popular 8Knots, also on Queen’s Road, known for it’s daily themed nights where you will find more locals than travellers. Finally, upstairs in the Jetpoint shopping complex is the Ice Bar, which an awesome bar for dancing. Within the same complex is the Tantra Bar, Fiji’s first hookah lounge where you can sit, relax and puff the fruity flavours of Fiji. Your other options for nightlife in Nadi are in the resorts, which tend to be a little quieter than in the city, but are great for a casual drink. During the peak season, you’ll find the resort bars bustling in the resort area of Wailoaloa Beach (just off Queen’s Road down Wailoaloa Road). 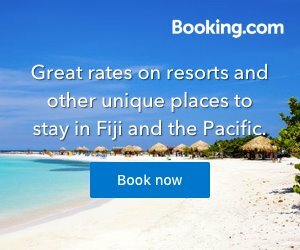 Here, there are many backpacker and budget accommodations hosting party nights for their guests, as well as Fijian dance shows, which are well worth seeing. Plus, don’t leave Nadi without trying the Best Eats in Nadi or the Cheap Eats in Nadi! Denarau Island on Viti Levu is another popular place for bars in Fiji. While it doesn’t have much of a “party” scene, it does have a few fun bars to relax with a drink, listen to music and sometimes live music, while mingling with other travellers and holidaymakers. The great thing about the nightlife in Port Denarau is that it’s all within walking distance. Just head to the waterfront and everything is there. The Hard Rock Cafe is where you’re likely to find the most party vibe in Denarau, with its nightly entertainment and music starting from 8pm Thursdays to Sundays. The Rhum-Ba at the Yacht Club will make you feel like a jolly old sailor with their wide selection of rums. 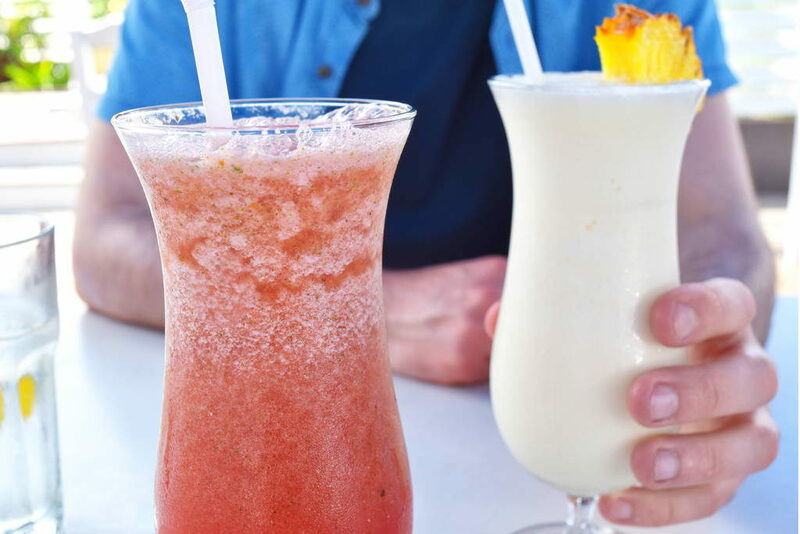 Relax on the waterfront at this popular bar until 11pm. Cardo’s often host live bands at their steakhouse and cocktail bar, which is open “till late”. Aside from the bars in Denarau town centre, another great way to experience the bars and restaurants is to go resort hopping! You don’t have to be a guest to enjoy the cocktail menu of any of the resort bars. Find out more about the local restaurants in our Best Eats in Denarau. Away from the mainland, you can find awesome nightlife on some of the island resorts. In the Mamanuca Islands, many of the resorts offer excursions to Cloud 9, a floating bar serving wood-fired pizzas and playing signature sounds from international DJs. You can literally jump off the side of the bar and go for a snorkel. Doesn’t that sound like paradise? Back on dry land, consider staying on Beachcomber Island if you want to experience some of the best nightlife on the island. The island is popular with backpackers, with nightly entertainment such as limbo competitions, fire eaters, fire dancers and the famous “Bula dance”. Other island resorts will have bars and restaurants for casual dining and evening meals, rather than “partying” and nightlife. 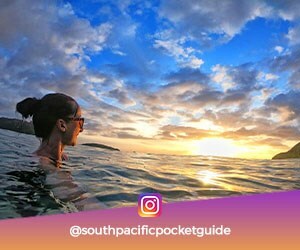 However, your best bet to meet people to have drinks with is in the backpacker accommodations around the Mamanuca Islands and the Yasawa Island. Check out 6 Best Budget Accommodation in the Mamanuca Islands and 10 Best Budget Accommodation in the Yasawa Islands for more details. Fine Dining on the Coral Coast. 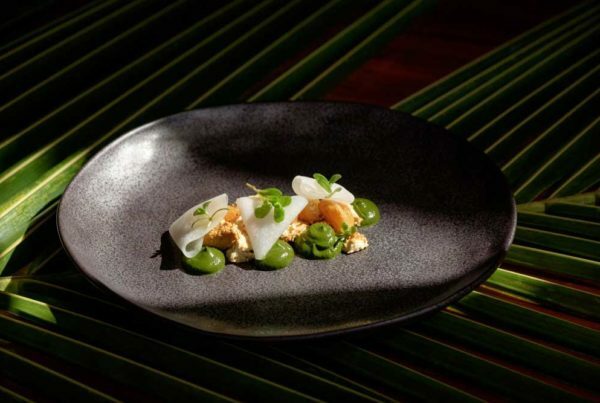 It's true that the dining experiences in Fiji are a lot more casual than elsewhere in the world. Where to Find Cheap Food on the Coral Coast. 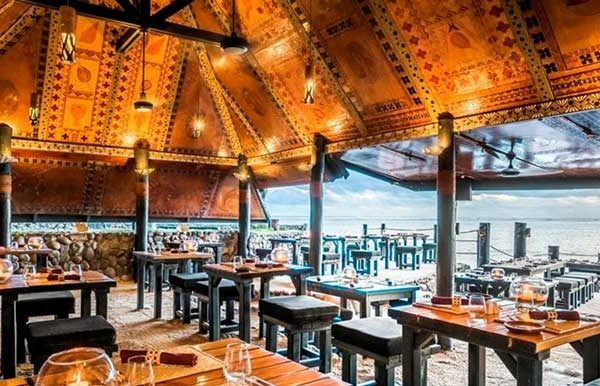 The Coral Coast has some of Fiji's finest restaurants gracing the waterfront within its luxury hotels and resorts, but what about the options for budget travellers or if you just want to save a bit of dough on food? Restaurants with Vegetarian and Vegan Options in the Mamanuca Islands. Being a vegan or vegetarian can be difficult when travelling, especially when confined to the choices of your resort's restaurants.